Light up that center stone! From our Full Bloom Collection, this not so simple solitaire truly lets the center stone take the front row on this Tacori engagement ring. Intricate details along the sculpted crescent profile make this ring truly special just like the Tacori girl that wears it. 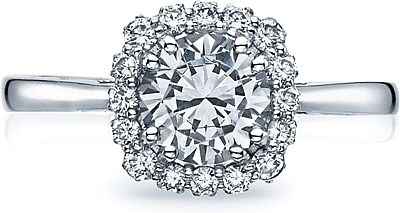 The unique contrast between the high-polished band and blooming center stone creates a stunning balance of elegance and sophistication.